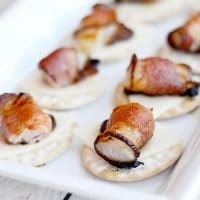 Tis the season of easy appetizers! I love this time of year because I think my favorite foods are all bite sized! I love going to parties and filling up my plate with a array of appetizers. 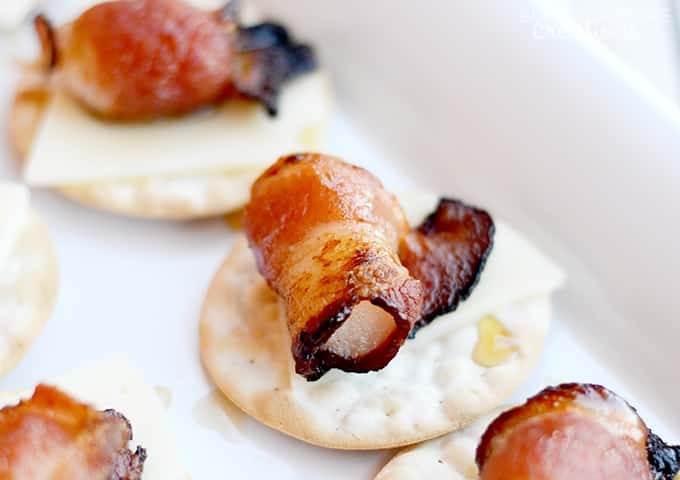 These Bacon Wrapped Pears with Provolone look and taste gourmet, but are very easy to make. These would be perfect for any party! I love how the sweet pears taste with the salty bacon. 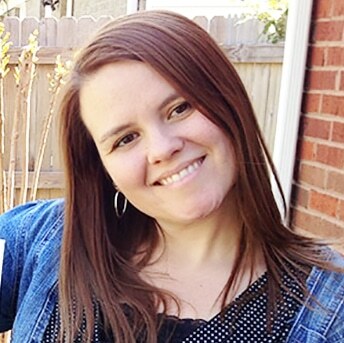 I didn’t need to add any extra sweetness to these because pears are so super sweet! I did add a drizzle of maple syrup on top for looks, but they would be great with or without the drizzle. 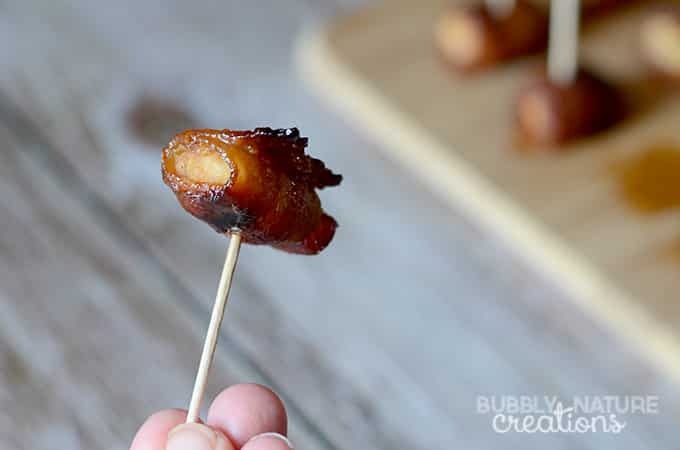 What easy appetizers do you like to make for the holidays? I am always looking for new ideas! Preheat oven to broil (around 450 degrees). 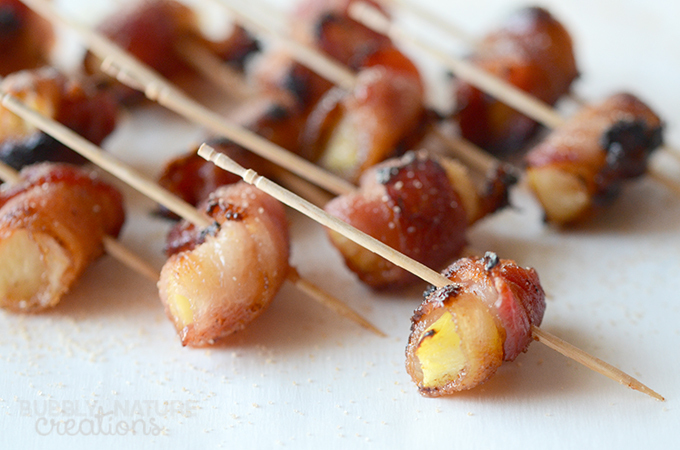 Wrap the bacon around the pears and place on a baking sheet pan. Broil for 10-12 minutes or until bacon is crisp on the edges and make sure to rotate bacon about half way through. Meanwhile cut the cheese to fit onto the crackers and then place a piece of cheese on each cracker. 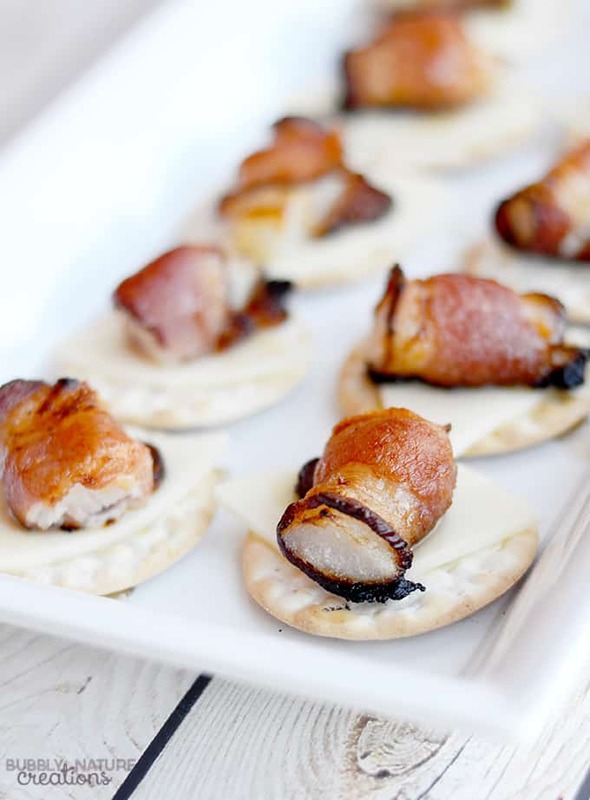 Once the bacon wrapped pears are finished cooking place each one on top of one of the crackers with cheese. Drizzle with the Maple Syrup if desired and they are ready to serve. Enjoy! Can’t wait to try it! They look DELISH!! !